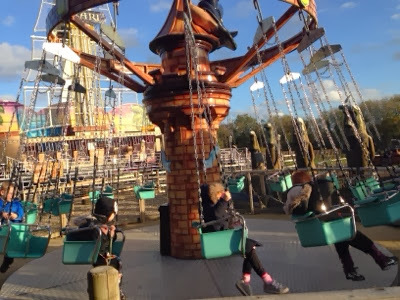 We visited lightwater valley in the summer and absolutely loved it. You can read all about that visit here. 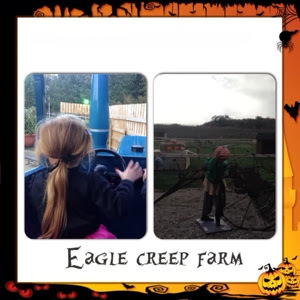 We were delighted to be asked back and see what frightwater valley had to offer! I immediately started watching all of the promotional material for frightwater valley and it looked amazing! My 7 year old was blown away by this youtube video. 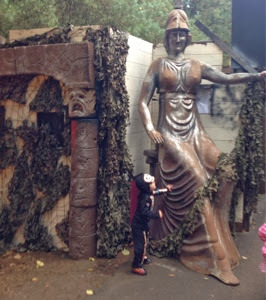 My 4 year old wasn't so keen though and I was a little apprehensive about taking her for fear that it may be too scary. In the end we decided to just go for it and we could always leave early if it was all too much for her. 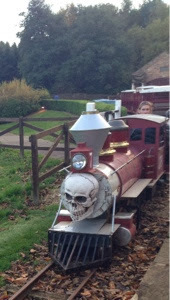 Frightwater valley proved to be very toddler friendly. The first thing I liked was that there were NO QUEUES for rides. 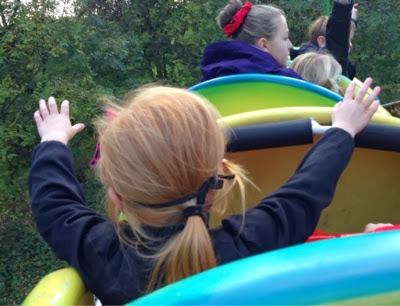 We were able to ride our favourite rides over and over again - my 2 year old was even able to go on his first roller coaster (the caterpillar) with me sitting next to him. It was quite surreal seeing everybody dressed up on the rides. 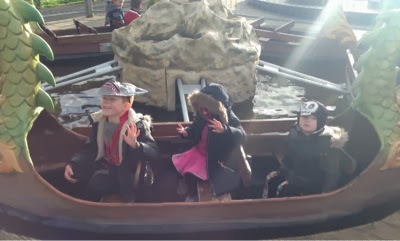 As you can see from the photos, we were really blessed with the weather and it was a lovely mild day. 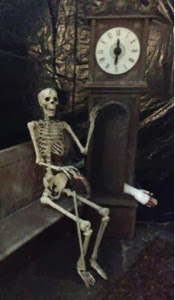 We enjoyed watching a horror magic show which was on every hour or so. 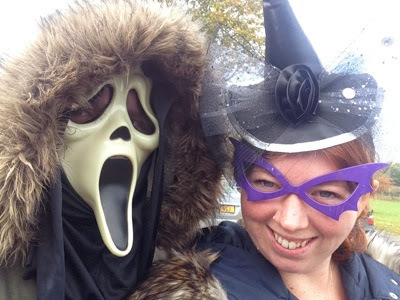 We saw a man have his head chopped off! 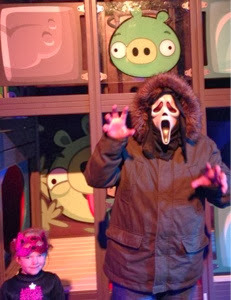 Our children's favourite part of the day was the UV puppet show which takes place in the indoor theatre. 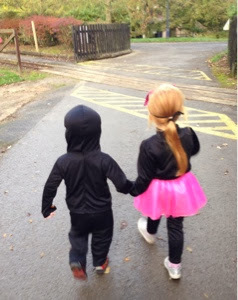 It had our kids in stitches and had everyone clapping and dancing along at the end. It only lasted 20 minutes or so and was the perfect length to keep littles ones entertained without getting bored. (Unfortunately no photography allowed in this show). 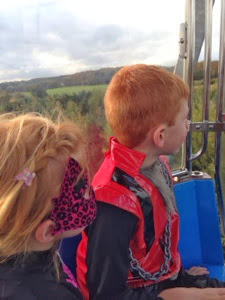 We decided we were brave enough to take on the walk through the fairground graveyard. 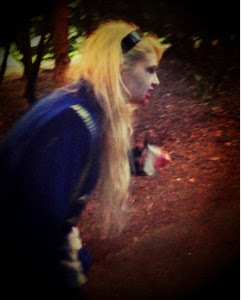 It looked super scary and we had to dodge many live (and realistic) actors. 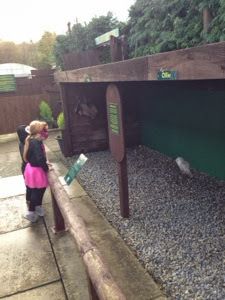 Our kids loved it though and we had a laugh together because we were braver than some of the teenagers who were too scared to give it a go! The actor's were fantastic and stayed in character the whole time. 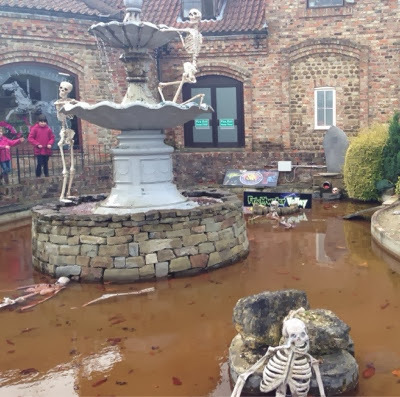 I was really impressed with how much lightwater valley had went to town with the decorations. 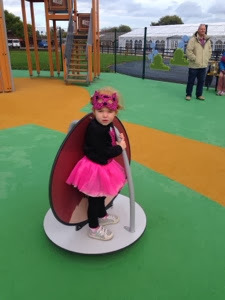 The park had been transformed for the occasion! 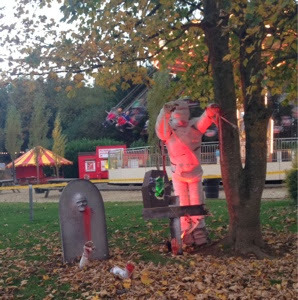 Some of the rides had a Halloween makeover too! 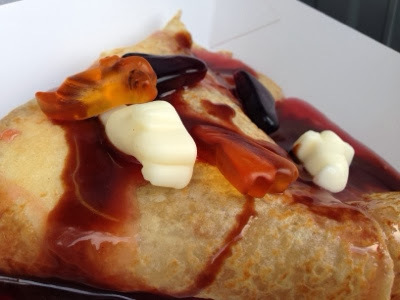 There were some special Halloween options for food and snacks too. Toffee apples were on sale for only £1!! 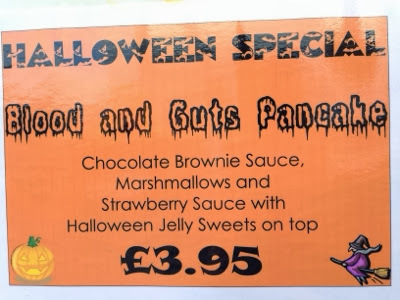 We couldn't resist the smell wafting from the pancake stall and decided to try the Halloween special. It had the thumbs up from the kids although it was very messy to eat and we really could have done with a sharper knife. 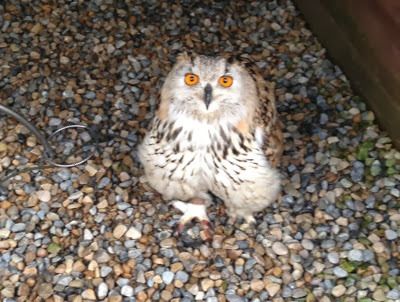 Birds of prey centre - they have lots of birds on display and the keepers are lovely and friendly and will answer any of your questions. 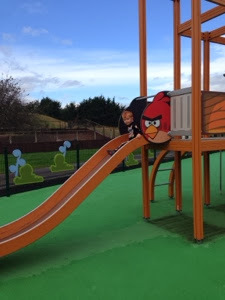 We also couldn't escape visiting te angry birds zone as it is a big favourite of ours. 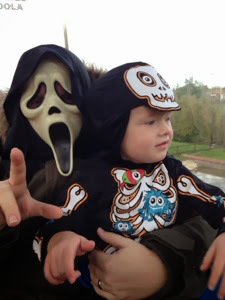 Our verdict on frightwater valley with under 5's is that it was fantastic value for money. You get all the usual rides and attractions (but with no queues) plus a whole load of extra's thrown in AND later opening. 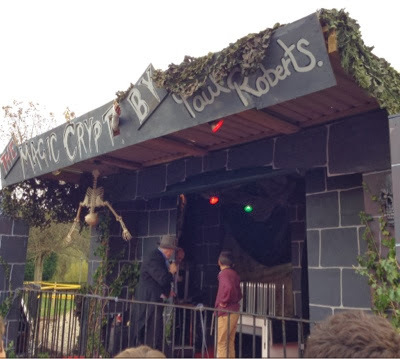 It wasn't too scary at all for our children and a lot of the attractions were actually geared towards them. 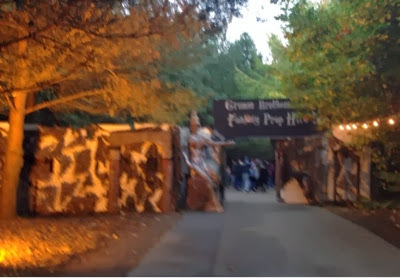 Frightwater valley continues until 2nd November from 10am-6:30pm. Tickets are £19.50 each if booked online (£4 if you're under 1 metre). Disclaimer:- we were given complimentary tickets for the purpose of this review. All views are our own.